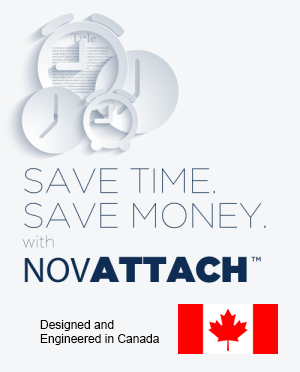 NOVATTACH mounting systems | How does NOVATTACH® work? Our patented Truss Mount system is an easy, tool free solution. Attach your camera to one of our adapters. Mount the NOVATTACH® conduit system and spin them onto the truss. Our Ceiling Mount adapter needs only four bolts to fix to any solid, overhead surface. Below, the CMS is the same system that we use for the Truss Mounts. Our channel strut accessory allows the NOVATTACH® system to mount easily to all major brands of channel strut.